Our Products >> SHOOTING AMMO, Single Cartridges, Packages & Boxes >> RIFLE Calibers, Boxes & Packages, CenterFire Shooting Ammo >> METRIC Calibers, Rifle Boxes, Current & Obsolete, All Countries. >> 7.35x51mm Carcano, Obsolete, Shooting Ammunition. >> 7.35x51mm Carcano, New Production, FMJ, Box of 20 cartridges. 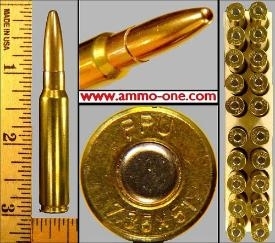 One Box of 20 cartridges: 7.35x51mm Carcano New production, by PCI using new brass cases and made loaded with a FMJ (Full Metal Jacket) projectiles, for use in the Model 38 Bolt Action rifle. Loaded to SAAMI Specs.